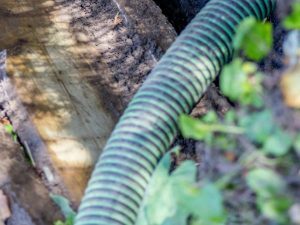 Need help with emptying and desludging your septic tank? All wastewater systems require regular desludging or emptying, including septic tanks, grease traps, pumping stations and oil separators. Regularly emptying or desludging your septic tank ensures optimum performance and to maintain the legal quality of discharge. If you need to empty your sewage treatment plant, we can help with that as well. We provide a quick and efficient septic tank emptying service, with the work carried out within a few days of your request and competitive prices. septic system with no fuss and no mess. We also carry out a free visual inspection whenever we visit a customer’s tank, just to make sure that everything is working as it should. We are registered waste carriers, providing desludging and servicing for sewage systems throughout the UK. Please note that all waste taken is disposed of in accordance with the current legislation. Please see the servicing and desludging frequency table to see how often your type of system needs servicing and desludging. To book desludging, emptying or cleaning for your septic tank, simply complete and submit this form. If Owls Hall Environmental has desludged your septic tank or treatment plant in the past three years, you simply need to complete your surname, postcode, telephone number and email address and we will contact you during office hours to arrange a date. If you are a new customer we will contact you to discuss price, payment methods and availability. Information marked with a * must be completed before you can send the form.